One of the best ways to boost your SEO and search engine rank is to have quality internal and external linking in your blog pages and posts. Internal links are links that point to other pages or posts on the same domain. 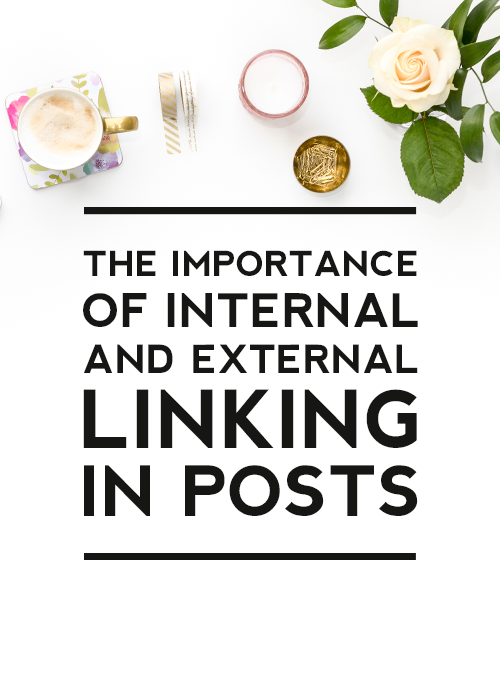 Links on your blog that point to other pages within your site are examples of internal links. External links are links that point to a post or page on an outside domain. An example of an external link would be a link from a cooking blog pointing to a post on a fashion blog. An external outbound link is when you link to an external site. An external inbound link when an external website links to a post/page on your site. Internal and external links are vital for SEO because Google uses a bot called Google bot to crawl websites by following links. The Google bot uses the links on individual pages to understand the topics, content, and connections of the pages on your blog. This helps determine the ranking of your content in search results. Google also uses your links to understand the link value of the links on your site. Your homepage automatically has the highest link value because it has the most links directing to and from other pages and posts on your site. Link value is shared when one link leads to another link. The more links that lead to a post or page, the higher the link value of that post or page. 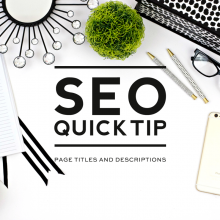 Pages and posts with higher link value will be ranked higher in search engines because the Google bot will see the page or post has quality link value. 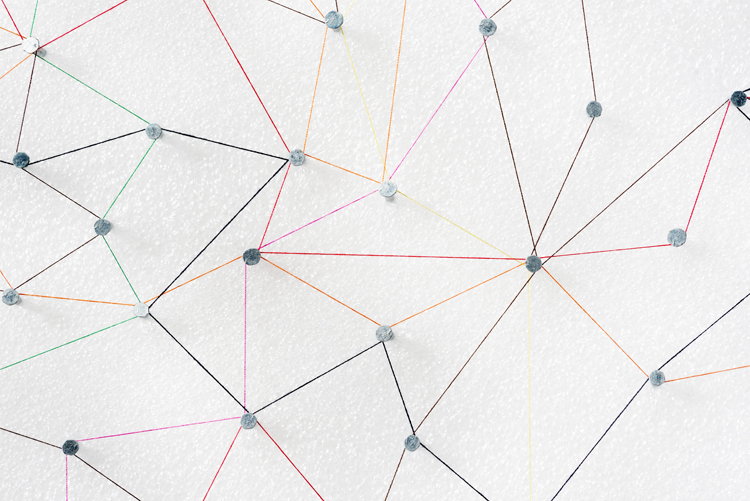 Internal links help improve your individual site or blog’s SEO. By linking to relevant pages and posts, the Google bot can easily find more relevant content to determine the quality of your blog or site and your content. External outbound links have fewer SEO benefits compared to internal linking but can help raise your trustworthiness in Google’s ranking for your blog or site. External inbound links also have fewer SEO benefits and are trickier for you to control but they are important in their own way. External inbound links help to increase your blog traffic and having high traffic helps your ranking in Google’s search engine algorithm. For the most SEO benefits, your main focus should be on internal linking while also using strategies to encourage external linking. An important step of SEO is to improve your internal linking on your blog or site by adding quality internal links to help the Google bot understand your content. The most well-known strategy is to imagine your links on your site in a hierarchy of importance. Your top links should be linked on your navigation menu as the main content or the most valuable pages or posts on your blog or site. Your home page will automatically have the highest link value and all important content should have a link on your homepage. These main links should have links heading towards them from other relevant pages and posts on your blog or site to increase their link value to help them rank higher in search engines and vice versa. Linking your pages and posts to each other helps Google understand the relationship and content of similar pages and posts on your blog or site. While writing a page or blog post, see if you have any relevant pages or posts you can mention in your page or post and try to include them in your page or post to share the link value. Another easy way to add relevant links is to add links to related pages or posts at the end of your blog posts either manually or by using a widget or plugin. A popular widget for Blogger is LinkWithin and a popular plugin for WordPress is Yoast. Improve the link value of your popular posts or recent posts by linking to them on your homepage or sidebar or footer of your blog or site. By linking to them on a place of your blog or site that will appear on all pages and posts, you increase the link value to these pages or posts from all of the pages and posts on your blog or site. Both Blogger and WordPress have widgets and plugins to showcase your popular pages and posts. Another reason to categorize your blog posts and pages and use your blog or site’s categories or labeling is to increase your link values. Ensure each category or label is a clickable link to help Google understand your blog content. For both WordPress and Blogger, add relevant categories or labels focusing on how you would summarize each post in a few key words. Here is an easy example to imagine how internal linking should appear on your blog. For a baking blog, you may have a post with your favorite dairy substitute baking ingredients for those who are lactose intolerant. As a popular post on your blog, this should be linked on your homepage on your navigation menu or on a widget. This helps the post by receiving link value from your home page. Your goal to improve your internal linking for this post is to help this page rank higher on search engines for all search queries and search results about lactose intolerant baking ingredients. You would do this by adding links from your blog of relevant content such as a blog post about “The best dairy baking substitutes for picky eaters” or “5 easiest recipes for baking dairy free cakes” to your popular post. 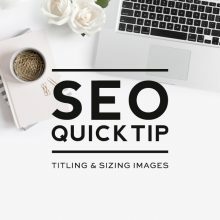 This will reinforce to Google the content of your post and that this post is the top post on your blog about this topic. As a result, Google will rank this post the highest on this particular topic on your blog for search engines. As a popular post, you would also want to link to it on your sidebar or footer and also ensure you have added a blog label to the post. 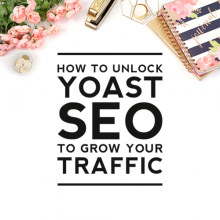 External inbound linking isn’t as easy to boost by yourself because you don’t have control over how often your visitors link to your blog from their own blog or from social media. 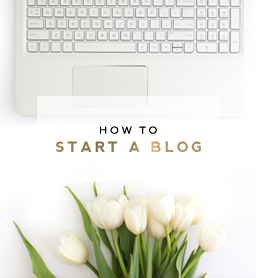 But there are several strategies you can use to encourage more external linking towards your blog or site. 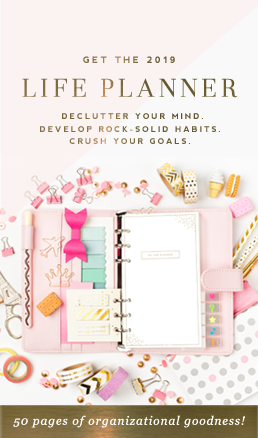 Use eye-catching images and informative titles to encourage your readers or visitors to link to your post or page. Don’t hide your content with a vague title or forget to use an image for your visitors to share on social media. Encourage your visitors to share helpful content from your site on their blogs and social media. Install a pin it button and encourage your readers or visitors to pin your content onto their Pinterest boards. Your goal here is to increase the sharing of your blog and to draw more traffic towards your blog. Pinterest is a great way to do both. When you link on your own blog or site to external resources or blogs or sites, use the most credible and popular quality links. Using trustworthy links on your own site will help boost the trustworthiness of your site in Google’s algorithm and help your readers and visitors find the quality content they seek. The more quality content you have on your site, the more likely your readers or visitors will link towards your blog or site. Most blogs or sites also have plugins where they can see who linked to their blog or site. These pingbacks are another way to share link value. The last tip to improve your internal and external linking on your site is to regularly fix and update any broken or outdated links. One or two broken links won’t hurt your blog or site’s ranking in Google’s algorithm but having a handful can hurt. Use a plugin or a site to check for broken links on your site and update them with the highest quality links you can find.